Hello! 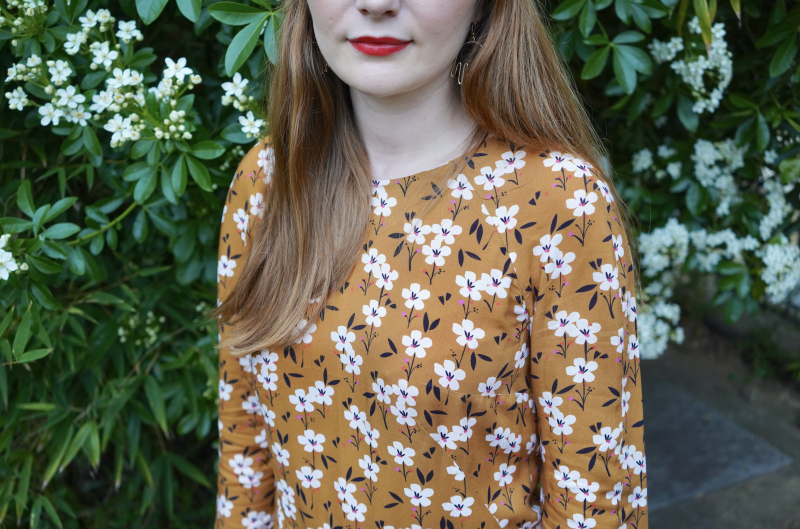 It’s Rosa here with my first ever blog post for Sewisfaction – how exciting! 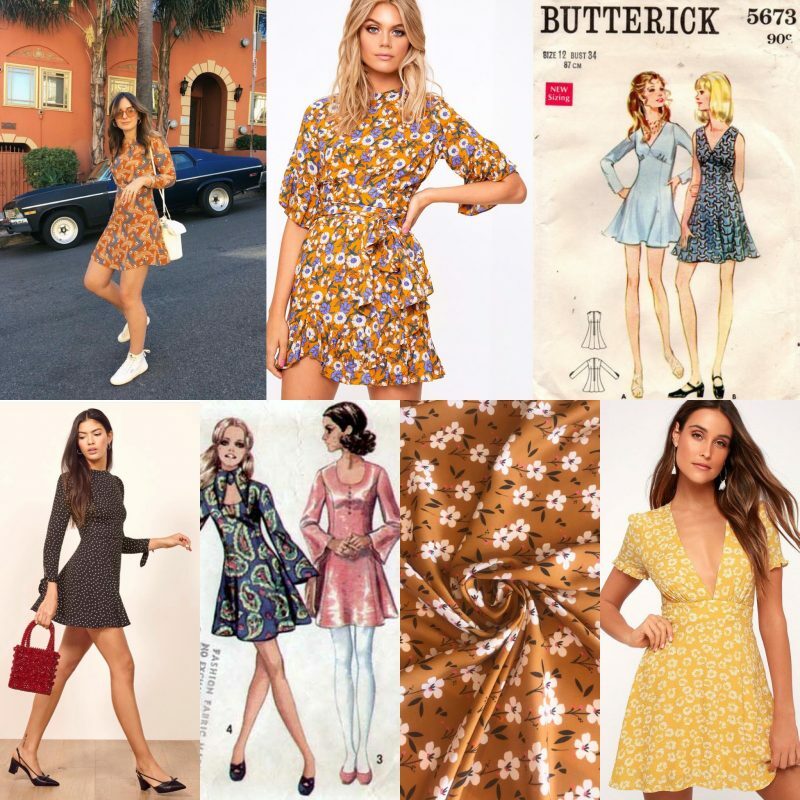 I’m not sure I’m alone in this, but recently I have found myself eagerly anticipating the first glimpse of spring, and this project was very much inspired by my desire to bring a little sunshine into my wardrobe. 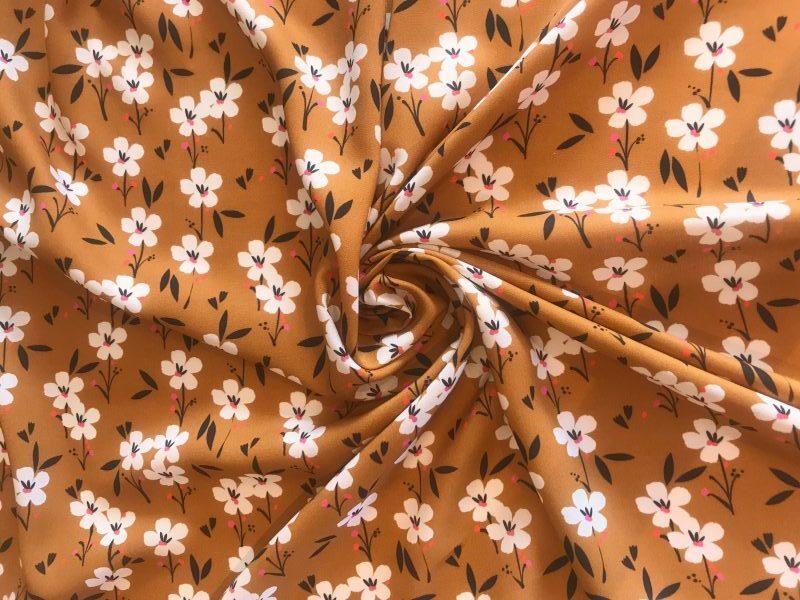 I spent far too long browsing the pretty pages of the Sewisfaction website before stumbling across this beautiful White Petal Harvest Rayon. 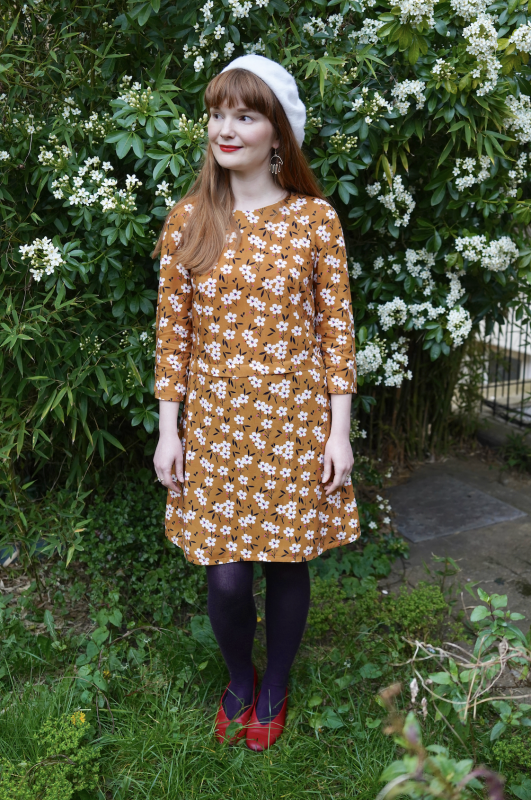 I’ve been wanting to sew a vintage inspired 60’s style mini dress with lots of fun, swishy movement and decided this would fit the bill perfectly. 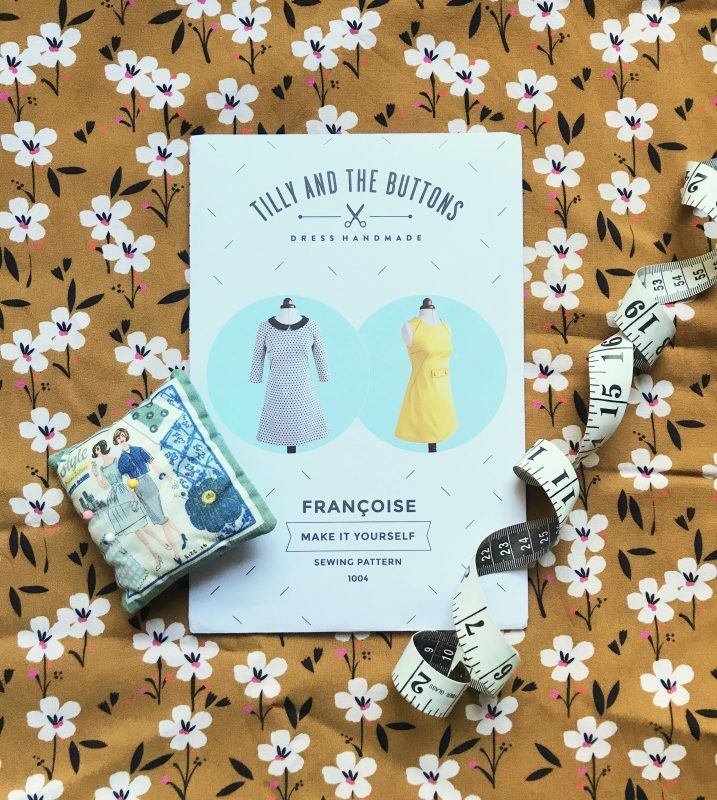 Although I do have a good collection of vintage patterns I decided to go for the Tilly and the Buttons Francoise dress to achieve the look I was after. The pattern has lovely and very flattering darts with a sweet flared skirt. I would say that this is a great pattern for a confident beginner. I have a sew-along video on my YouTube Channel ‘Sewn’ if you’re interested in having a go. I have made a sleeveless version before, but this was my first attempt at the version with sleeves. I cut my usual size 3, which is about a UK size 10. The fitting was a little tricky for me as when I finished the dress my hips were too wide and this threw off the fit at the back, resulting in a lot of excess fabric in the small of my back. This is common for me as I am pear shaped and always have to make a ‘sway back adjustment’ when making trousers, but I was surprised as I didn’t have trouble the last time I made this pattern. I think this is probably because the type of fabric I chose was very different as my first version was made from a firm, vintage fabric and of course the lovely rayon has more movement. -Removing the back darts so I could get into the dress having removed the zip! -Inserting a wide tuck at the waistline to raise the hip line. The rayon fabric held up perfectly while I made these little adjustments and it is honestly the nicest quality viscose fabric I have ever used. Now the dress is finished, I actually really like the little waist tuck as a design detail. I also chose to finish the hem with bias tape as I love to finish my garments nicely on the inside. This also helps to emphasise the a-line shape of the skirt. 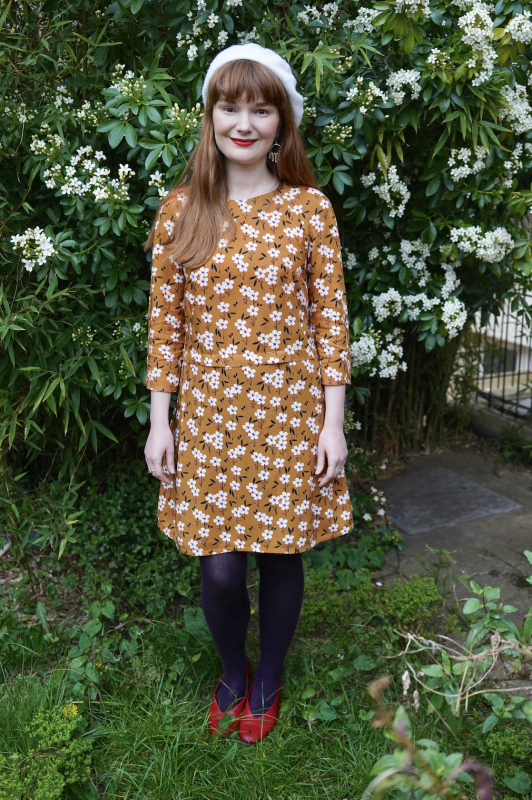 I am very pleased with my little shift dress and I hope you like it too. Here you can see I have styled my Francoise with wooly tights and a beret, along with matching red shoes and lipstick (because why not!) which is more appropriate for cooler spring days, but I can’t wait to wear this with bare legs, white trainers and my favourite basket bag in the, hopefully, not too distant future. Also does anyone else spot the little white flowers on the bush behind me matching the little white flowers on my dress? Beautiful as ever and a good trick to make it wearable! I’ve had the same problem with a Coco, the first fitted lovely. Same type of fabric , 2 nd attempt, too tight around the bust, lots of unpicking and a small seam allowance later!